Baseball, basketball, football, or golf. Sports happen all-year long. 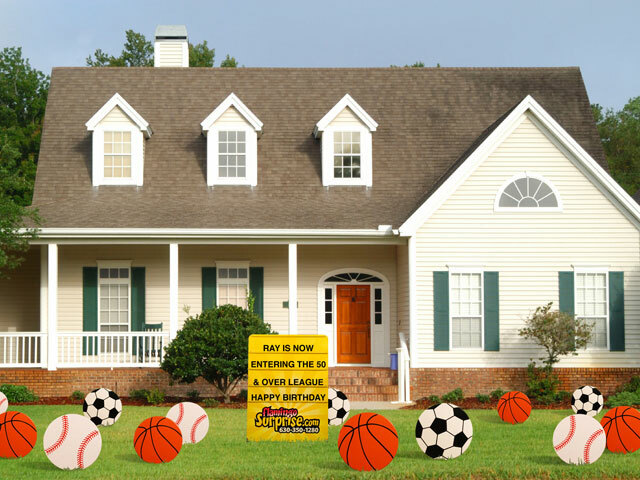 Send that special sports fan a message with this athlete's dream display celebrating a big victory or preparing for the big game. This multi-ornament surprise comes with a total of approximately 20 to 50 pieces and a sign for a personalized message. 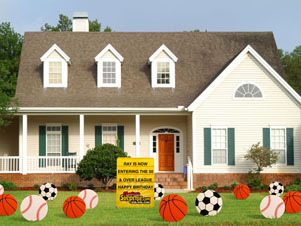 If you would like to choice different sports ornaments, please call us at 630-280-1250. Ray is now entering the 50 & over league. Happy Birthday. Happy Birthday to my sports hero.